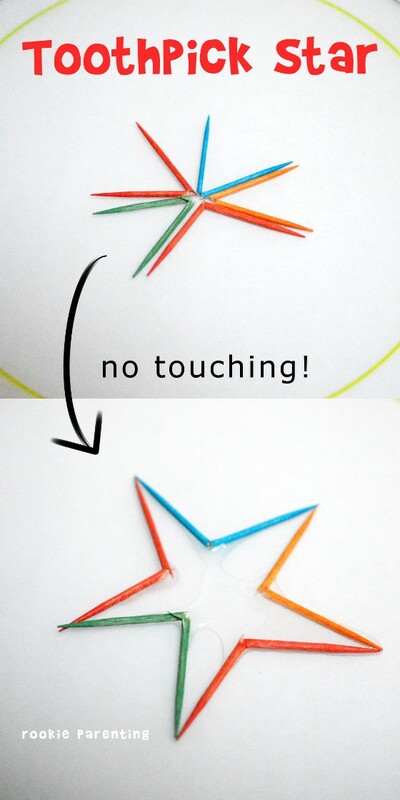 Here is a super fun toothpick trick: turn broken toothpicks into a star! 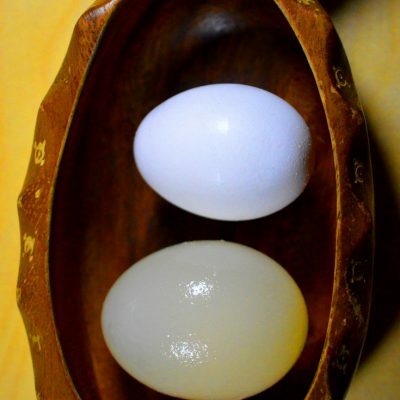 This science experiment is simply magical. 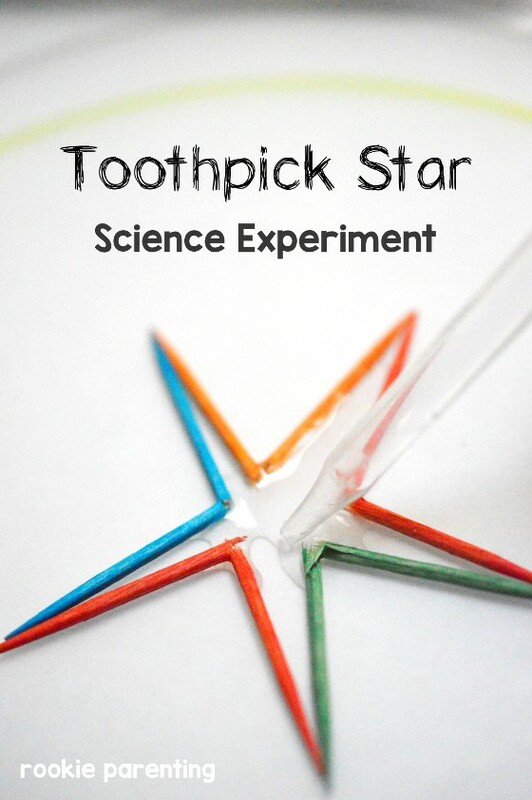 See how the toothpicks glide into place to form a star right before your eyes. Bend the 5 toothpicks in the middle but do not break them completely. Put the 5 broken toothpicks in a circle with the broken points touching one another. 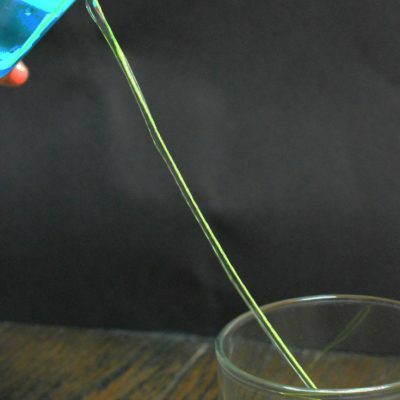 Carefully put a few drops of water in the middle using a dropper or a straw. Now wait and watch how the toothpicks glide into place to form a star! Toothpicks are made of dry wood. When dry wood absorbs water, the bent wood fibres expand and unbend. 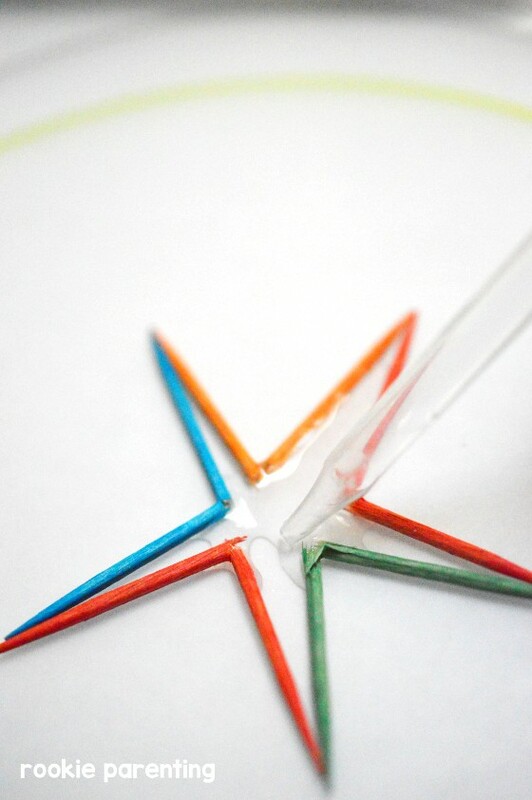 As the toothpicks straighten out, they push against one another opening up the inside of the star. But how does wood absorb water? Wood absorbs water by capillary action, adhesion and cohesion. These are the same factors that allow plants to carry water from the roots upwards through vein-like tubes to the leaves. Want to see more about how wood and plants absorb water? Try this awesome Color Changing Flowers experiment! Want more water science experiment? Water science is so much fun. My kid can never get enough of these experiments. If yours are like mine, this science kit is perfect for them. 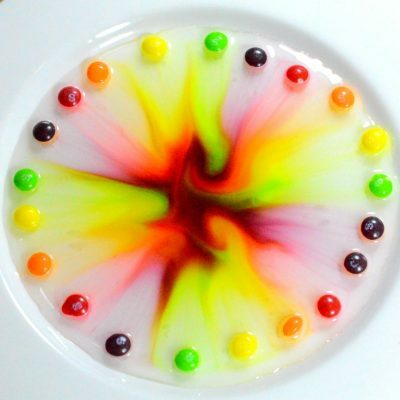 It has tons of interesting water experiments you can do in the sink or in the tub. They really turn bath time into an event the kids are looking forward to every day.